Since the genesis of the JAMS Dream Big project, we've achieved several milestones that signal continued progress toward our ultimate goal. Here are the successes we've achieved so far, beginning with the most recent. 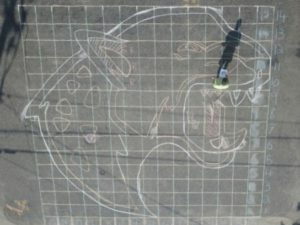 Jaguar Street Painting Project Completed! 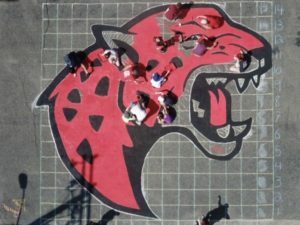 Thanks to more than 40 volunteers from the local neighborhood, Jane Addams community and the Bethany Community Church, we completed the painting of the JAMS Jaguar logo on the street in front of the school. 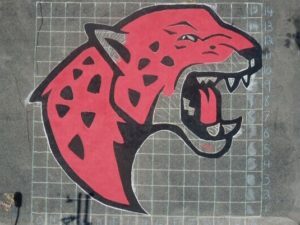 Students, parents and faculty will now be met with our fierce logo, helping both instill school pride, and calm traffic. 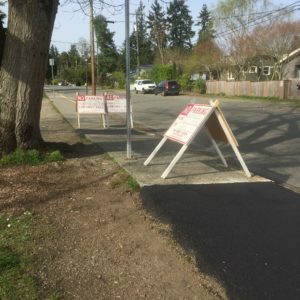 Studies have shown that these street paintings cause drivers to approach with a little more care, helping keep our children safe. 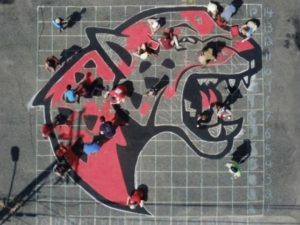 Check out the amazing photos taken during the project, taken overhead using a drone, and the cool time lapse video that compresses the 6 hour project into just 34 seconds! 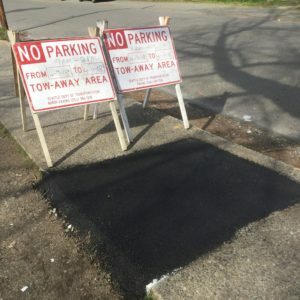 After a year-long process that included several inspections of the JAMS physical site, considerations of the concerns and aspirations of site users and interested parties and community input, Johnson + Southerland produced a final Landscape Master Plan. 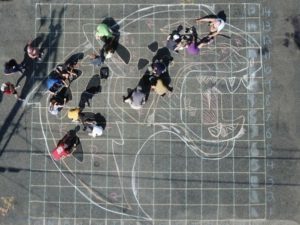 The JAMS Landscape Master Plan is the statement of a community-driven vision for a more functional, engaging and inspiring school campus. It is also a menu of projects that may be phased in to achieve that vision. 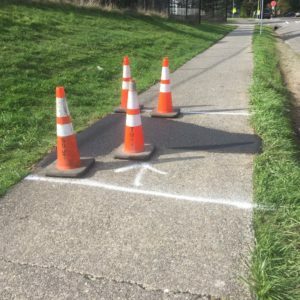 Trip hazards remedied by SDOT following community safety concerns. 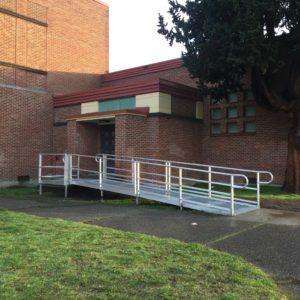 ADA accessible ramp installed near gymnasium entrance to better accommodate student needs. 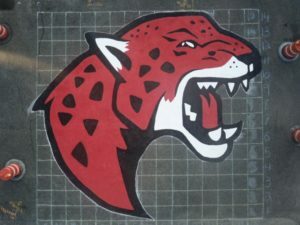 Previously the only access to the athletic fields required a person to exit through the front door of the school completely opposite to the gymnasium and then return the same way outside the building to gain access to the lower fields. Excessive peeling paint and rusting on the school flag pole with lead paint concerns caused replacement in December 2016.